Last year was a great year for you. Sales were up, margins were strong and customers seemed happy. But, there's still something kind of bothering you. It's hard to place your finger on it, but you think it has to do with the profitability of a few items that you're selling. With the many different FBA fees, shipping expenses and vendor pricing changes to keep up with, it's challenging to tell which SKUs are not profitable. That really bugs you (for good reason). 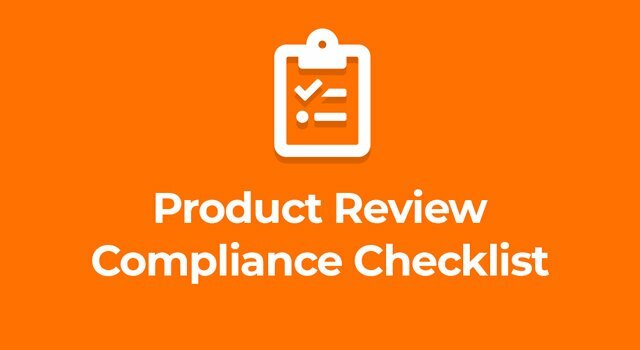 Here's some positive news - our RestockPro tool was designed to help FBA sellers gain clarity into SKU-level profitability. In this post, we show you how to identify (and jettison) the profit-killing items from your inventory. Some might argue that it's best to leave well enough alone. After all, your company is growing faster than ever before. It's become obvious that, in general, you're good at making stocking (and restocking) decisions. Who cares if you have a few SKUs that aren't exactly pulling their weight? Not everything you touch can turn to gold - or can it? That's what makes you different. You're never satisfied with the status quo. You're also well aware of how rapidly things can change on the Amazon marketplace. You've seen countless merchants fail, which provides added motivation to maintain healthy profit margins - on everything you sell. Using a tool like RestockPro (try it free now) can help you swiftly identify profit-killing SKUs. RestockPro monitors every aspect of your FBA business, including purchase orders, supplier costs, shipping and freight expenses, Amazon fees, packing costs, order volume and sales revenue. Better yet, RestockPro presents your SKU-level profitability data it in an intuitive, timely manner. When it comes time to restock an item, you're presented with the exact data you need to make an informed decision (in the context of current Buy Box prices). If an item is lagging behind, perhaps you should consider dropping it altogether from inventory. Toggle the date range to hone in on the most relevant time period. Need to see an item's entire purchase history? Simply extend the date selector back to when you began using RestockPro. Instantly, you're presented with all activity for that SKU (organized by purchase order). Expand your view to see each purchase order linked to the given SKU. And, since it's your data, you can easily export this information to CSV format for further analysis. Thanks to RestockPro, the "big picture" just got a whole lot easier to see! Put Underperforming SKUs "On Notice"
What about those SKUs you're still not sure about? For example, let's say that you'd like to see all SKUs carry a minimum average margin of 15%. What should you do with an item that's suddenly dipped below your profitability threshold? RestockPro has you covered here, too. Our innovative tagging feature can be useful for keeping tabs on "at risk" inventory items. In this situation, you might create a tag called "on notice" and apply it to downward-trending SKUs. You can also use the restocking dashboard's "watch" feature to keep an eye on these products. Circle back to your "on notice" inventory for further analysis before making a "keep or drop" decision. After digging into the SKU profitability report, you may realize that the item is more seasonal than first thought. Or, you may realize the item has become much too competitive, thereby reducing the average Buy Box price (and your profit). Either way, RestockPro helped you make sense of it all. You're now ready to take action. If you're tired of letting a few profit-killing SKUs bring down your mood, it's time to give RestockPro a try. RestockPro helps you isolate, track and act. No more spreadsheets or logging in and out of the Seller Central dashboard.